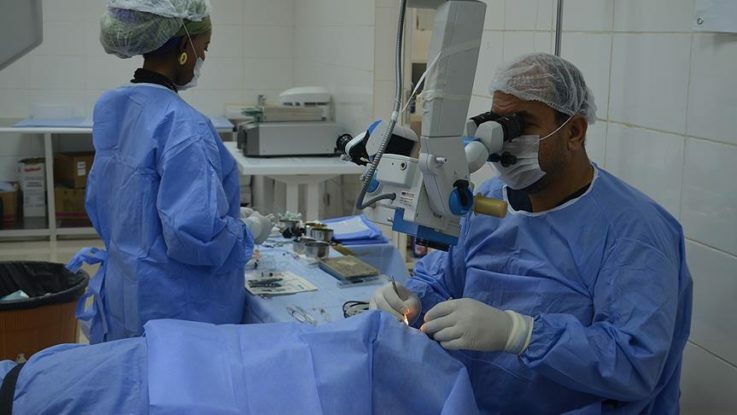 “Turkey, one of the largest economy among Islamic nations, also provides eye examinations and 10 million free glasses,” he said at the official launch of the Second Generation of the Alliance to Fight Avoidable Blindness (AFAB-2) in the IDB’s 43rd annual meeting, in the Tunısian capital Tunis. IDB’s health projects will target 12 countries including Burkina Faso, Chad, Comoros, Ivory Coast, Djibouti, Guinea, Guinea-Bissau, Mauritania, Mali, Mozambique, Niger, and Togo. Eyup Gumus told Anadolu Agency that Turkey will create an automatic control system named “Health Africa”, which was launched in September to keep records of patients in Africa. “We will send coordinators to Africa and we will work together with NGOs, our Health Ministry and ministries of other countries who want to help this project,” he said. “Our goal is to train doctors who will solve health problems in their countries in the future,” he added. Cataract clouds the eye’s lens, hindering the vision of patients, according to the World Health Organization (WHO). Surgery costs around $80, according to Turkey’s Humanitarian Relief Foundation.